Ending on January 25, 2019 and lasting 35 days, making it the longest in US history, the US government shutdown has finally concluded. Over the course of these 35 days, there were many events that occurred and many people were struggling and took a stand. People frequently ask: What was so bad that there needed to be a government shutdown for this long? The reason the shutdown occurred was because President Donald Trump didn’t get the funding he requested to build the $5 billion border wall to separate the United States from Mexico. To sum up the shut down, here is what happened. In total, about 800,000 workers were affected by the shutdown. People working for EPA, the IRS, The Departments of State, Housing and Urban Development, Treasury, Agriculture, Commerce, Interior, Justice, and Homeland Security were hit with some unsettling news. If the people working for these departments were deemed to be “essential,” they were still able to work. If they were “non-essential” they would be sent home without pay. That makes for nine out of the 15 federal departments and agencies that were affected. Congress fully funded the military (aside from the US Coast Guard) and the departments of Veterans Affairs, Labor, Education, and Health and Human Services. During shutdowns, military, air traffic control, federal prisons, Social Security, Medicare, and Medicaid still continue to run as usual. Some of these federal workers live paycheck to paycheck and were struggling to live and provide for their families during this time. President Trump made a statement saying, “I am proud to shutdown the government for border security.” Even if people don’t work for a federal department, their safety was put in danger during the shutdown. The FDA suspended almost all of it’s inspectors so food was not inspected as forcefully as it should have been so food safety was greatly affected. In airports, TSA workers were also calling out sick because they did not feel it was right to go to work and not get paid for the work they do to keep people safe. At Laguardia Airport in New York City, incoming flights were being halted because of the security issue. Earlier in January, a passenger in Atlanta was able to get through TSA and onto a flight with a firearm. Schools in North Carolina had to scale back their school lunches to conserve food and funding. A Facebook post put out by Vance County Schools set the guidelines for the meal plan for students, “Starting the week of January 21, minimum level means: one main dish, bread, two vegetables, one fruit and milk. No fresh produce will be included, except at elementary schools as part of the Fresh Fruit & Vegetable Program. This program will be decreased to two days each week,” the statement read. 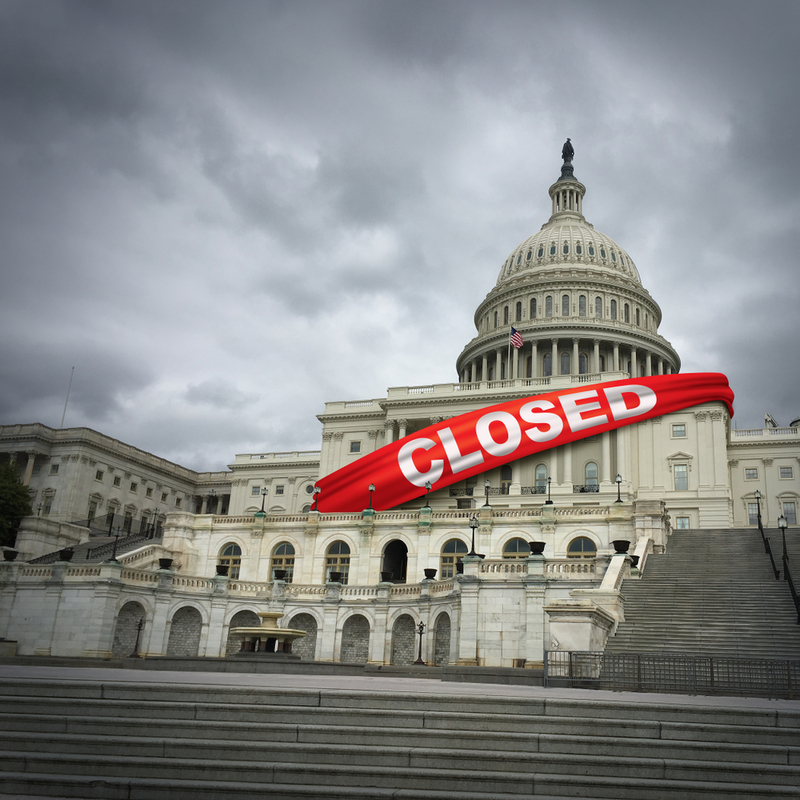 On January 25, President Trump made an announcement for a three-week funding measure that would reopen the government until February 15th. The deal moved on along with a long-term Department of Homeland Security funding did not include funding for the border wall.The Senate and House of Representatives passed a vote for funding measures by voice and the president signed the bill which ended the shutdown. The president also declared a national emergency over the border crisis in hopes of getting the $8 billion for border security.